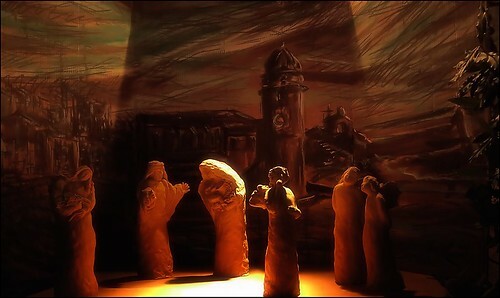 Already in a room at the gate to the castle you meet this fine model inspired by the birth of Christ. The courtyard is filled with people eating, drinking, participating in the market activities. 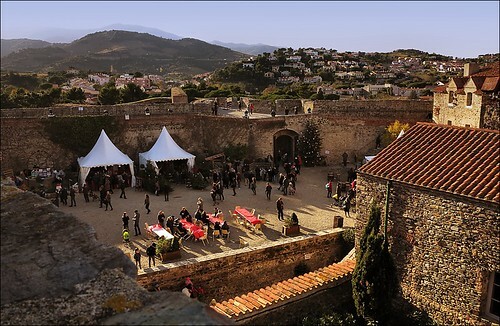 The Christmas market in Chateau Royal, Collioure, in the South of France. 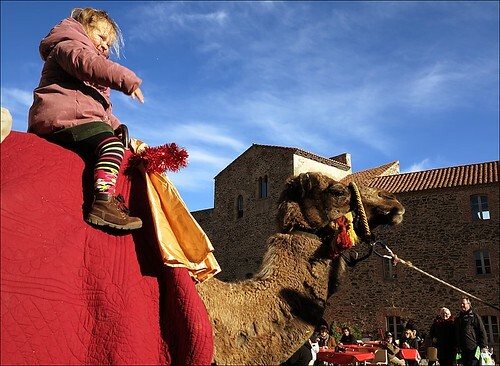 For 10-12 days in December the big royal Castle in Collioure are filled with stalls and craftsmen offering their variety of articles covering all needs for christmas, The courtyard is filled with people, eating, drinking, children on ponys, catalan donkeys and camels. What a life. What a great way to bring life back to this summer castle for the long gone King of Mallorca. Today, the Royal castle is a tourist destination, a happier place to hang out and hosting one of the most sumptuous Christmas fairs in the area. We went there with the kids who thoroughly enjoyed the hot chocolate and mince pies from Nigel and Catherine Bradley, the music, donkey rides and gaggling with the geese. There are live bands, camel rides for the brave, roasted chestnuts, mulled wine and crepes and loads of gorgeous stalls inside selling artisnal goodies. It's on until the 9th December, entry is free. Not to be missed if you are in the area.